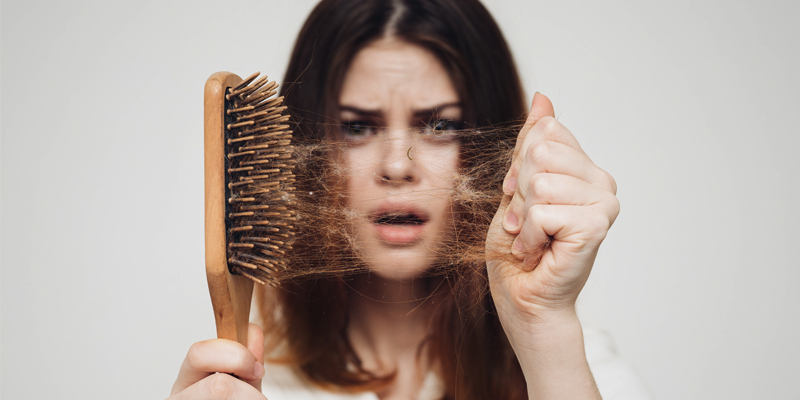 Dust, UV rays, harsh chemical treatments, and heating elements take a toll on your hair. However, many of us are unaware of the fact that even water can also have a negative impact on your hair. Hard water, which most of the places in India receive, not only affects your skin but also damage your hair. Even if you use the best quality products, if you get hard water at home, your hair quality may not improve. So, in this blog, we discuss the effects of hard water on your hair and how to deal with the problem. What does Hard Water do to your Hair? When you shower using hard water makes it difficult to form lather and rinse your hair. Each hair strand is made up of little scales. However, when you use hard water, the strands of your hair stand up, thereby making your hair dry and tangled. Hard water also makes your hair less pliable, thereby making it difficult to style. Rinsing shampoo from your hair becomes difficult when you have tangled and rough hair. In addition, hard water also causes your hair color to fade faster. The reason is the mineral build-up interferes with the hair color. Soap is also less effective in hard water as it reacts with excess calcium and magnesium salts. These minerals are not soluble in water and result in the soap film. Using soft water for hair gives a different result as it leaves less insoluble deposits on the hair. This is the reason why you need to wash your hair with soft water. The only way to maintain your hair health is by using soft water. The traditional methods of making hard water soft doesn’t serve the purpose. This is where KENT Bathroom Water Softener, which is easily attached to your shower or tap, can help you out. The water softener uses a 2-step regeneration process to exchange the ions of calcium and magnesium with sodium to reduce hardness in water. The water softener can be easily attached to your geyser so that you get soft water whenever you need. Why Install KENT Water Softener for Bathroom? Many people have a doubt when it comes to buying a water softener for shower. To clarify your doubts, we list some of the reasons to install a bathroom water softener. One of the main reasons of rough and dry hair is using hard water. With KENT Water Softener for Shower, you can easily convert hard water into soft and prevent further hair damage. The easy installation and regeneration process make it extremely easy to use the appliance. Click here to find out more about KENT Bathroom Water Softener.